I found a recent decision from the Court of Appeals of Kentucky to be somewhat interesting in its discussion of what factors bear on the issue of a non-compete's reasonableness. 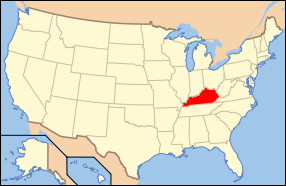 The case's disposition is not worth much discussion - it essentially found that the circuit court's early disposition was premature - but in the context of reversing a judgment it outlined the types of considerations a Kentucky court should consider when assessing whether an employment-based covenant is enforceable. This is similar to, but a little more specific than, other courts' three-part reasonableness test. What was most interesting, though, about the decision was that under each factor the court outlined in question format underlying considerations a trial court should delve into. The only problem I see with this approach is that the court did not indicate how the answers to some of those questions (at least the ones that are less obvious) should favor one side of the other. "How many players are there in the market, and are their respective market shares relatively large or small?" It never answers how the answer to this question should help frame the disposition. This is the type of evidence that inevitably comes out during a non-compete trial, but some courts view this differently. For instance, many courts look at a highly diffuse, fragmented market as supporting non-compete arrangements because there often are either low barriers to entry or an industry custom and practice of utilizing non-competes to prevent customer switching. A minority of courts, however, view this as a factor that weighs against enforcement, presumably because customers have more fleeting relationships and identities of customers aren't as obvious. All in all, the case provides a nice roadmap to get attorneys thinking about what generalist judges view as important in these types of cases.